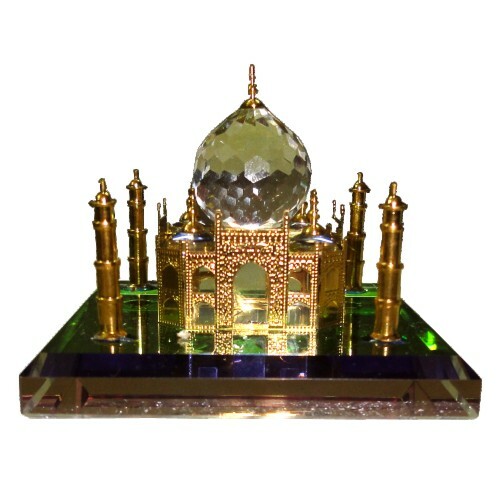 24K GOLD PLATED CRYSTAL TAJ MAHAL Dimension : L-2.5" x W-2.5" x H-2" · &nbs..
Dimension : L-2.5" x W-2.5" x H-2"
· This 24K Gold plated, classic miniature of TAJ MAHAL- an epitome of love- is an exclusive way to express ones’ eternal love for someone special. · A perfect gift for your Valentine and special occasions like anniversary, wedding………etc. 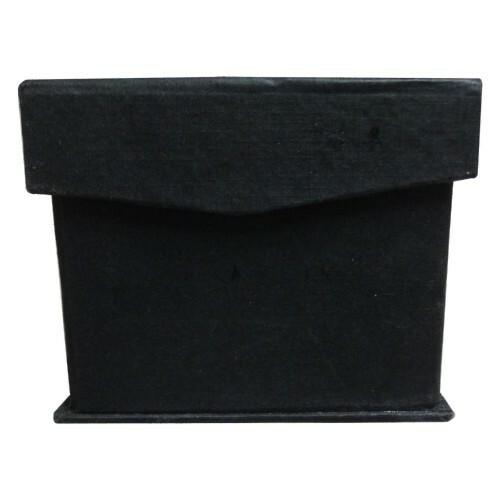 · A priced possession for your collectible collection. 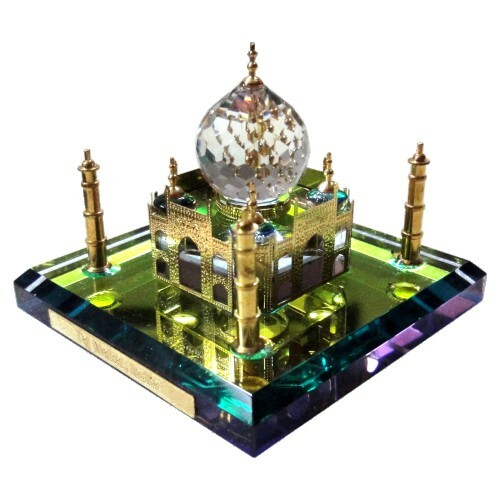 · It is delicately packed to ensure fragile item to be unharmed, in a presentable lovely gift box. 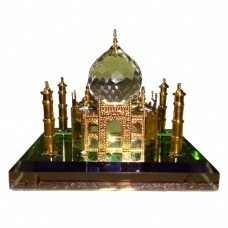 · When you are short of words to express your love, why don`t you say it with this 24k Gold plated Crystal Taj Mahal?